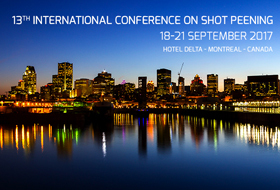 As the world market leader in steel shot and grit, W Abrasives is pleased to participate to the 13th International Conference on Shot Peening. During these three exhibit days, the W Abrasives team will be presenting the complete line of surface enhancement solutions including high carbon steel shots, cut wire, stainless steel products and ultra-fine shots. The W Abrasives large spectrum of media offering includes solutions for the Automotive, Aerospace, Spring and many other markets. The W Abrasives team will also take the opportunity to present an "ultra fine shot" in the order of 70-100µm used for the peening of small parts such as gears or valve springs. With its expertise, world wide availability, innovations and product performances, W Abrasives will be able to optimize all your shot peening applications. We look forward to seeing you there on our booth #5!